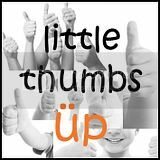 Today’s post is a quick and easy family snack …. Potato Curry Puffs. Since I’ve still had potatoes on my pantry and some leftover frozen puff pastry, I quickly made this flaky Potato Curry Puff as an afternoon snack. Just boil the potatoes till soft, then fry it together with curry powder and onion with little milk. After wrapping the potato filling with the pastry, about 20 pieces, I stored half of them into the freezer. These can be baked as and when I feel like it or when I have unexpected guests for tea. Wash potatoes and peel skin. Boil potatoes with a pinch of salt until soft and tender for about 15-20 minutes Mash cooked potatoes with a fork, leaving some chunks behind. Add enough oil in wok, use medium heat fry onion and curry powder till fragrant. Add cooked potatoes together with the seasoning and milk, stir fry well. Dish up potato filling and leave to cool. Place puff pastry sheet on a lightly floured table top and use a pizza cutter to cut pastry sheet into 4 equal square sheets. Put potato filling (about 1 to 1.5 tablespoon) on pastry sheet (refer picture) leaving enough border so that it can be folded over and sealed. Egg wash the border and fold the edges together. Then use fork press down the edges to seal the border. Place the potato puffs on a lined baking tray and egg wash the tops of each puff..
Bake at preheated oven at 200C for about 25-30 minutes or until golden brown. 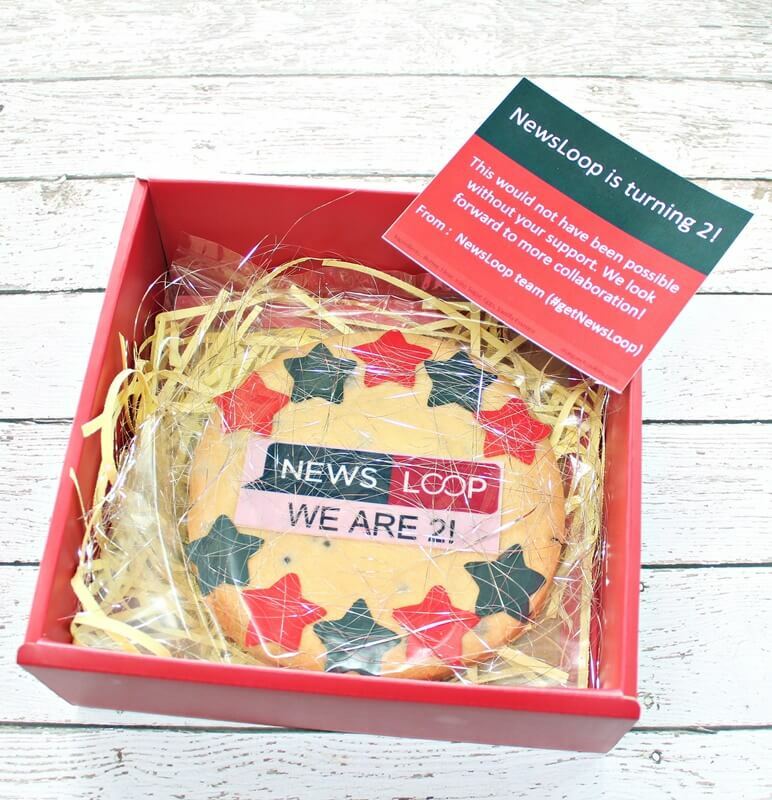 Congratulation NewsLoop turns 2 today! Just received this huge chocolate cookie from NewsLoop ~ Thank you! 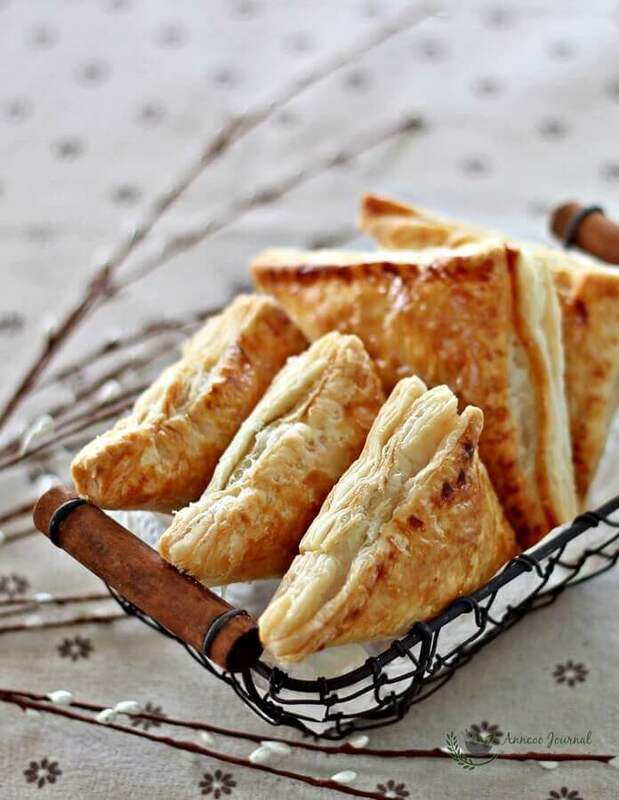 i like your quick way of making these curry puffs..yet they look so inviting ! these definitely are the perfect snacks.. i think i will be recreating them in my kitchen as i have a housewarming party to attend and an appertiser to bring. love it! Ann , those are yummy curry puffs and easy to make as well ! 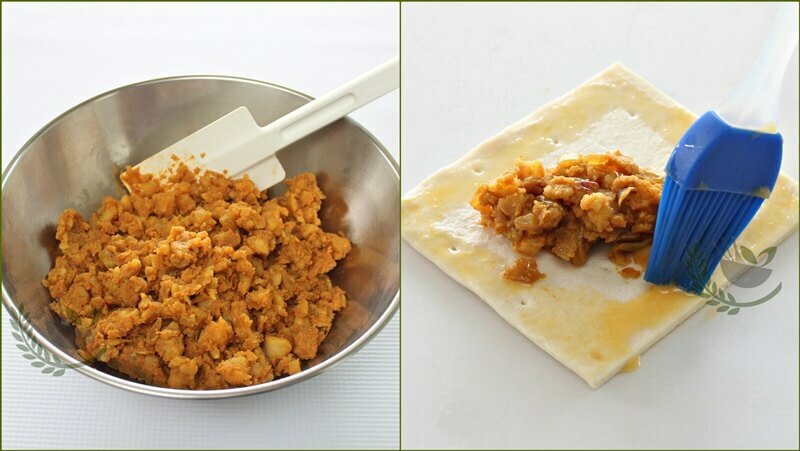 Ann, I like curry puffs…but I like this easy & quick recipe from you even more, bookmarked! 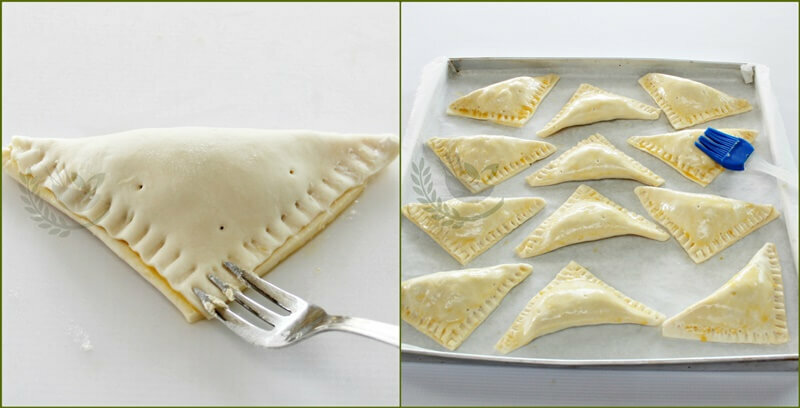 Sounds delicious, and I like that you used store bought puff pastry to make this super easy! Baking them is a great idea! I usually avoid curry puffs in restaurants as they are deep fried. I like store bought pastry dough too. So convenient! These puffs look fantastic. 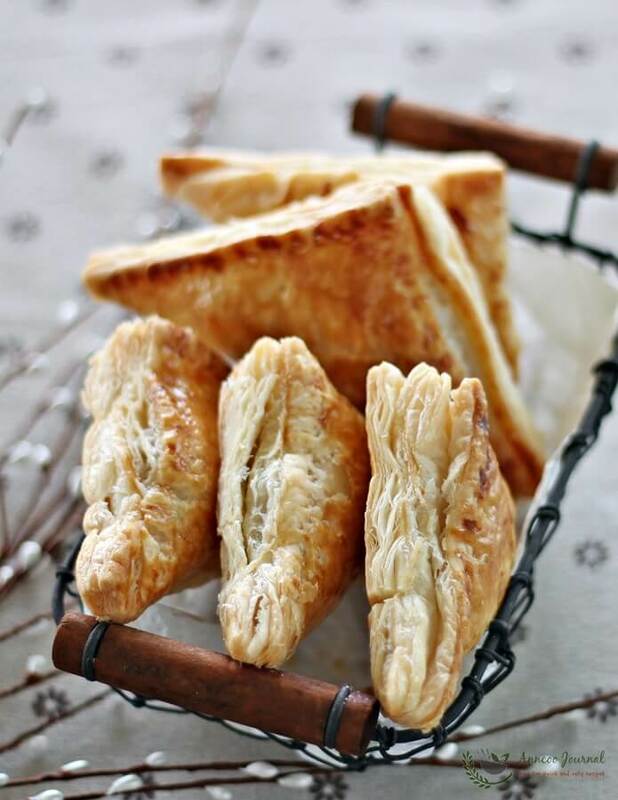 These potato curry puffs are so yummy … indeed quick and easy and great for breakfast too ^-^! Ann, these are my favourite type of curry puffs! 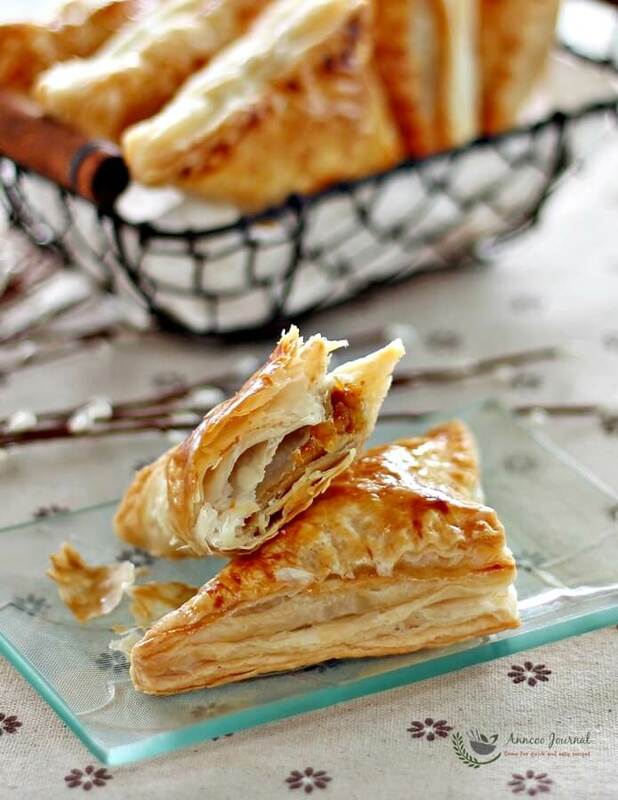 Flaky with nice potato curry filling, Yums! These look so delicious and easy too…tks for sharing..
AHA! That is a quick and clever light-bulb moment for leftover potatoes and puff pastry, and I like it!